Why Genting Singapore is Dropping? 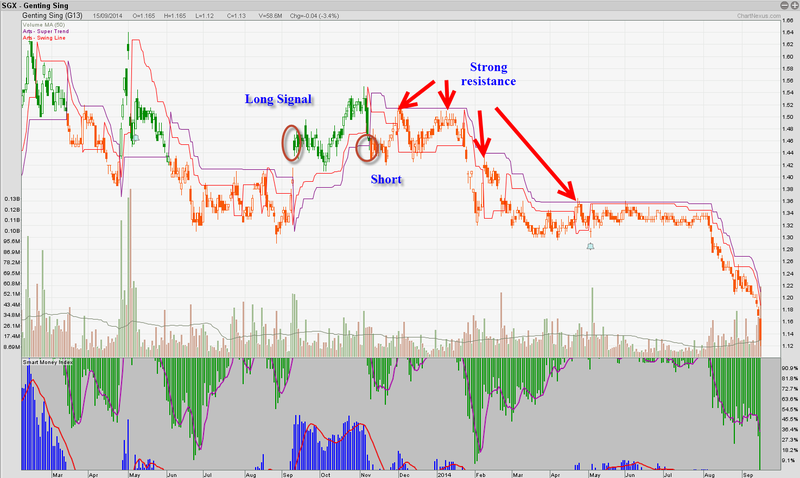 Recently many people is asking about Genting Singapore chart, many asking why is it dropping? Is the analyst downgrading or is their result not good? Firstly our system has show Orange candle(Sell signal), when price starting to fall at 1.40, the chart has already turn weak since last year November. That is why we didnt expect Genting to rise all this while. Only when Green candle appear then we will be more bullish. Secondly, lets take a look at the Peer in the same industry. 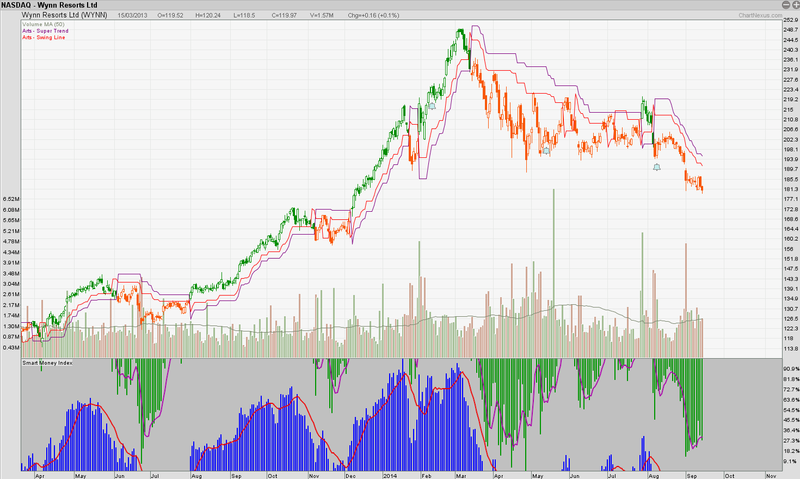 Below this chart is WYNN, US listed casino operator, what we see is this Chart actually outperformed Genting Singapore. Last year when it rally from $129 to $230(Look at all the Green Candles, those are Buy and hold signal! 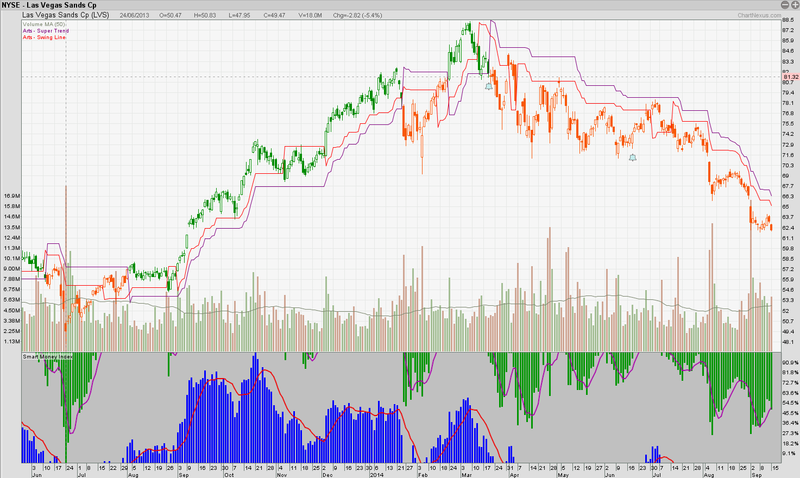 ), Genting is still going sideway and downtrending. Genting Sing is underperforming among the peers! see the few chart below, most of them have good rally last year! LVS, Las Vegas Sands. The third reason why Genting Sing is dropping is quite obvious. The Industry Factor. All the Gambling stock is dropping since beginning of 2014. As a technical trader, price fall only because of one reason, which is People are selling. We will look into Gaming stock when everyone start turning around. By using our ART system, we have successfully ride trends Up and Down. If you have any question, do drop us a message! For more info on our ART system, pls come for our Up Coming Seminar! NYSE - Allergan breakout for big move? Sheng Siong - all for you! 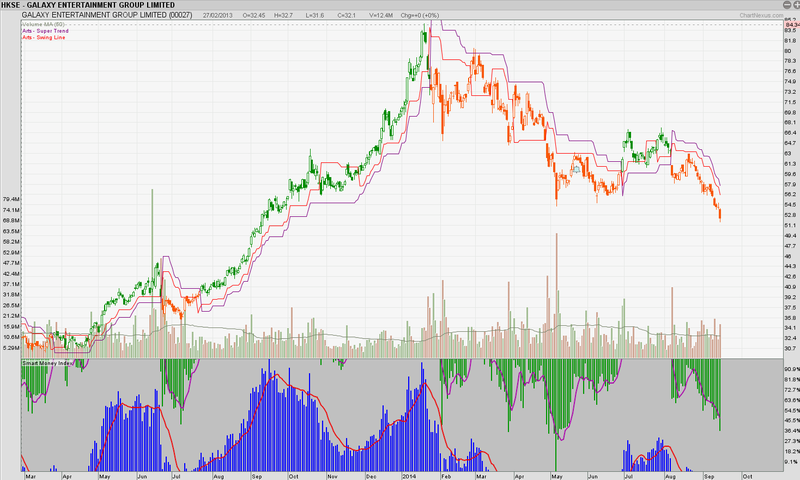 Riverstone - to continue moving Higher?